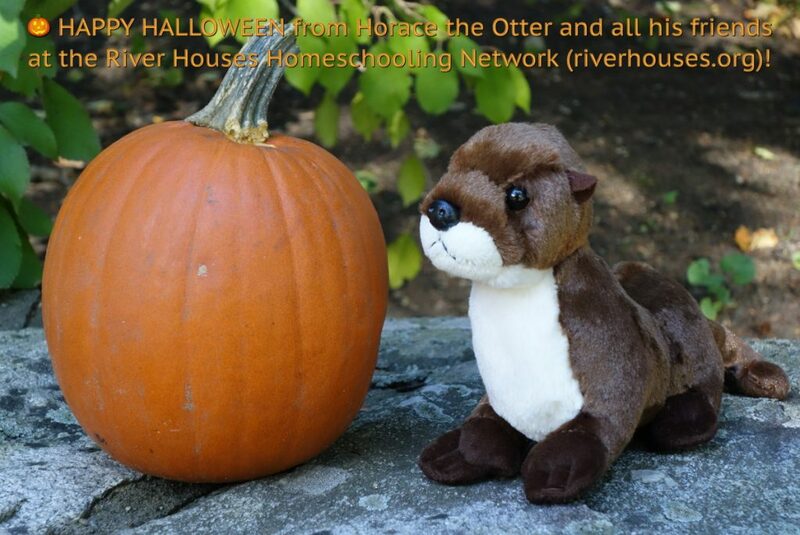 🎃 HAPPY HALLOWEEN from Horace the Otter! We have two mascots here at the River Houses: Horace the River Otter and Cheryl the Kingfisher. Cheryl hasn’t taken form yet, but Horace has, and he’s proving to be an adventurous otter indeed. NEW HAMPSHIRE (the 9th state, 21 June 1788) — The Granite State. Capital: Concord. New Hampshire can be found on page 579 in your almanac and on plates 44 and 142 in your atlas. Name origin: “Named by Capt. John Mason of Plymouth Council, in 1629, for his home county in England” (almanac page 423). State bird: Purple Finch. Website: www.nh.gov. ❡ Explore more: If you’re planning a comprehensive unit study of one or more of the U.S. states, be sure to investigate the primary source materials for teachers available from the Library of Congress. And anything you and your students want to know about state flags, seals, mottos, birds, and much more, can be found at the helpful State Symbols USA website. 🇨🇫 CENTRAL AFRICAN REPUBLIC in Central Africa. Population: 5,625,118. Capital: Bangui. Website: rca-gouv.net (in English). 🇹🇩 CHAD in Central Africa. Population: 12,075,985. Capital: N’Djamena. Website: www.gouvernement.td (in English, French, and Arabic). 🇨🇱 CHILE in South America. Population: 17,789,267. Capital: Santiago. Website: www.gob.cl (in Spanish and English). 🇨🇳 CHINA in East Asia. Population: 1,379,302,771. Capital: Beijing. Website: www.gov.cn (in English and Chinese). 🌖 THE MOON at the beginning of this week is gibbous and waning — an increasingly good time for stargazing. Track the moon’s phases each month at timeanddate.com, and dial up this week’s constellations with your River Houses star atlas (riverhouses.org/books). 🗓 TODAY (Sunday, 28 October) — Today is the 301st day of 2018; there are 64 days remaining in the year. Learn more about different kinds of modern and historical calendars on pages 351–357 in your River Houses almanac (riverhouses.org/books). ⬩ The great Dutch Renaissance philosopher Erasmus of Rotterdam was born on this day in 1466. ⬩ On this day in 1886, President Grover Cleveland dedicated the Statue of Liberty in New York Harbor. ⬩ And today is the birthday of American medical researcher Jonas Salk (1914–1995), developer of the polio vaccine. MONDAY (29 October) — On this day (or night) in 1964, three men broke into the American Museum of Natural History in New York and executed the largest jewel theft in American history, netting more than $400,000 worth of gems. The thieves were soon caught and most of the gems were recovered, including the Star of India, one of the world’s largest sapphires, which had been hidden in a bus station locker in Miami. WEDNESDAY (31 October) — Happy Halloween! 🎃 The Protestant Reformation began on this day in 1517 when Martin Luther nailed his 95 Theses to the door of All Saints’ Church in Wittenberg, Germany. ⬩ Today is the birthday of the great English poet John Keats (1795–1821). ⬩ And it’s also the birthday of Juliette Gordon Low (1860–1927), founder of the Girl Scouts of America. THURSDAY (1 November) — Our homeschool poem-of-the-week for the first week of November (1–7) is Robert Frost’s “A Leaf-Treader,” for late fall. Print your own River Houses poetry calendar at riverhouses.org/calendars and follow along with us throughout the year. ⬩ William Shakespeare’s play The Tempest was first performed on this day in 1611. ⬩ And today is the birthday of the German geophysicist and meteorologist Alfred Wegener (1880–1930), who developed the theory of continental drift. FRIDAY (2 November) — Today is the birthday of the American frontiersman and folk-hero Daniel Boone (1734–1820). ⬩ And since this is the first Friday of the month, we’ll post our regular monthly preview today of some of the astronomical events you and your homeschool students can be on the lookout for over the next few weeks. SATURDAY (3 November) — Today is the birthday of the great Italian artist and sculptor Benvenuto Cellini (1500–1571). ⬩ And on this day in 1534, the English Parliament passed the Act of Supremacy, declaring King Henry VIII (rather than the pope) to be the head of the English church. SUNDAY (4 November) — Today is the birthday of “Oklahoma’s favorite son,” the American actor and humorist Will Rogers (1879–1935). 🌎 EVERYTHING FLOWS: China is one of our countries-of-the-week, so our Weekly World River is the mighty Yangtze, the third longest river in the world. You can chart its course in your River Houses atlas (riverhouses.org/books), and you can read more about it in the Yangtze River entry in Wikipedia or perhaps on your next visit to your local library. It was below freezing last night, with wind-chills in the 20s expected today. There’s still a lot of color in the trees but brisk winds are beginning to take it down and bare branches are showing through on the hills. October’s growing thin, and the prospect of winter sometimes makes us uneasy: will the house be warm enough, will the darkness drag us down, will we be sick again this winter, will we make it all the way to spring? As they did so long ago? What the little flowers know. As he did so long ago? You can find more of Gordon Bok’s words and music at his website gordonbok.com, and also at his publisher’s website, Timberhead Music (timberheadmusic.com). ❡ Here, said the year: This post is one of our regular homeschool poems-of-the-week. Print your own River Houses poetry calendar for the whole year at riverhouses.org/calendars and follow along with us as we visit forty-eight of our favorite friends. The Folger is located on Capitol Hill, right next to the Library of Congress and the Supreme Court — a place of high honor indeed — and you can visit and tour the library the next time you make a homeschool trip to the nation’s capital. 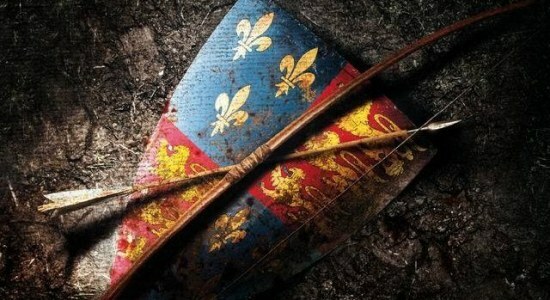 “Henry V begins at the English court, where the young king is persuaded that he has a claim to the throne of France. When the French dauphin, or heir apparent, insults him by sending him tennis balls, Henry launches his military expedition to France. “Before departing, Henry learns that three of his nobles have betrayed him, and he orders their execution. Meanwhile, his old tavern companions grieve over Sir John Falstaff’s death, and then leave for France. “Henry and his army lay siege to the French town of Harfleur, which surrenders. The Princess of France, Katherine, starts to learn English, but the French nobles are sure of success against Henry. Instead, Henry’s forces win a great victory at Agincourt. Bookmark the Folger Library’s website (folger.edu) and return to it often whenever you’re planning a homeschool lesson on the Bard. SOUTH CAROLINA (the 8th state, 23 May 1788) — The Palmetto State. Capital: Columbia. South Carolina can be found on page 586 in your almanac and on plates 42 and 142 in your atlas. Name origin: “In 1619, Charles I gave patent to Sir Robert Heath for Province of Carolana, from Carolus, Latin name for Charles. Charles II granted a new patent to Earl of Clarendon and others. Divided into North and South Carolina in 1710″ (almanac page 423). State bird: Carolina Wren. Website: www.sc.gov. 🇨🇻 CABO VERDE in the eastern Atlantic Ocean. Population: 560,899. Capital: Praia. Website: www.governo.cv (in Portuguese). 🇰🇭 CAMBODIA in Southeast Asia. Population: 16,204,486. Capital: Phnom Penh. Website: www.evisa.gov.kh (in English and several other languages). 🇨🇲 CAMEROON in west-central Africa. Population: 24,994,885. Capital: Yaoundé. Website: www.prc.cm (in English and French). 🇨🇦 CANADA in North America. Population: 35,623,680. Capital: Ottawa. Website: www.canada.ca (in English and French). 🌔 THE MOON at the beginning of this week is gibbous and waxing, on its way to becoming full on the 24th. 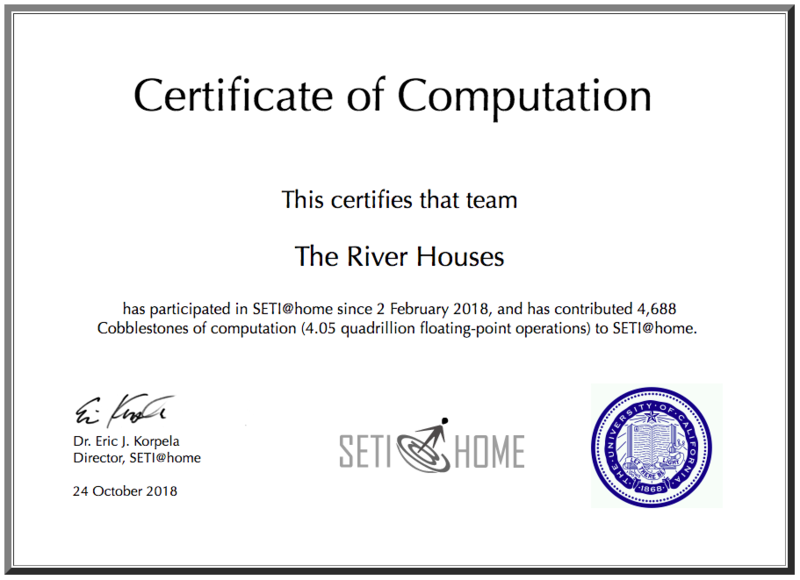 Track the moon’s phases each month at timeanddate.com, and dial up this week’s constellations with your River Houses star atlas (riverhouses.org/books). MONDAY (22 October) — Today is the birthday of the great Hungarian composer and pianist Franz Liszt (1811–1886). ⬩ On this day in 1836, Sam Houston (1793–1863) was inaugurated as the first president of the Republic of Texas. ⬩ And on this day in 1879, Thomas Edison tested his design for first practical and long-lasting incandescent light bulb. TUESDAY (23 October) — On this day in 1739, England declared war on Spain in the conflict memorably known as the War of Jenkins’ Ear. ⬩ Today is the birthday of the popular naturalist and children’s author Neltje Blanchan (1865–1918). ⬩ And sometime between 6:02 a.m. and 6:02 p.m. today, chemistry students will want offer a toast in honor of International Mole Day (6.02 × 1023). WEDNESDAY (24 October) — One of the most famous buildings in the world, Chartres Cathedral, was consecrated on this day in the year 1260. ⬩ Today is the birthday of the pioneering Dutch microscopist Antonie von Leeuwenhoek (1632–1732). ⬩ On this day in 1861, the first North American transcontinental telegraph line was completed. ⬩ Since the moon is full today, we’ll have a report from the River Houses Lunar Society. ⬩ And: to-morrow is Saint Crispin’s. THURSDAY (25 October) — On this day in the year 285 (or perhaps 286), the early Christian saints Crispin and Crispinian, patrons of cobblers and leather workers, were executed in Rome by the emperor Diocletian. ⬩ And on this day in 1415, the feast day of Saints Crispin and Crispinian, Henry V of England, outnumbered, defeated the armies of France in the Battle of Agincourt. And Crispin–Crispian shall ne’er go by, from this day unto the ending of the world, but they in it shall be rememberèd. FRIDAY (26 October) — The Erie Canal connecting New York City to the Great Lakes opened on this day in 1825. ⬩ And today is the birthday of the great American gospel singer Mahalia Jackson (1911–1972). SATURDAY (27 October) — On this day in the year 312, the armies of rival Roman emperors Constantine and Maxentius fought one another in the Battle of Milvian Bridge north of Rome. Tradition says that Constantine secured victory after having a vision of the Christian Cross the night before, leading to his conversion and the eventual adoption of Christianity as the religion of the Roman Empire. ⬩ Today is also the birthday of the great Welsh poet and playwright Dylan Thomas (1914–1953). SUNDAY (28 October) — The great Dutch Renaissance philosopher Erasmus of Rotterdam was born on this day in 1466. ⬩ On this day in 1886, President Grover Cleveland dedicated the Statue of Liberty in New York Harbor. ⬩ And today is the birthday of American medical researcher Jonas Salk (1914–1995), developer of the polio vaccine. 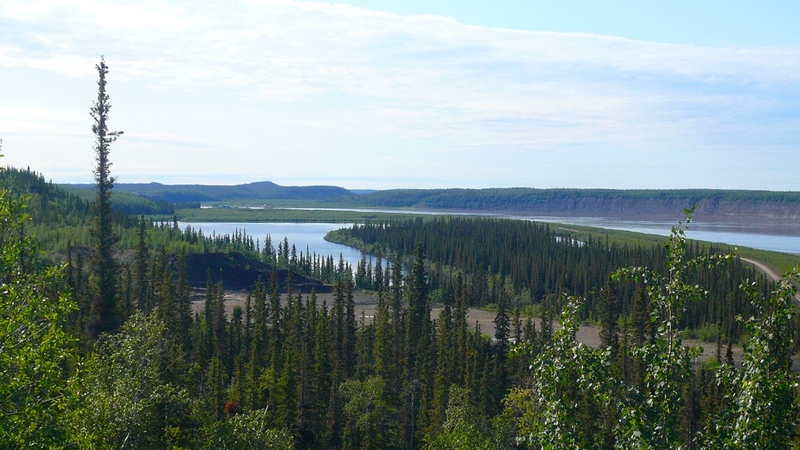 🌎 EVERYTHING FLOWS: Canada is one of our countries-of-the-week, so our Weekly World River is the the great Mackenzie River, the longest river system in Canada and the second longest in North America (after the Mississippi). You can chart its course in your River Houses atlas (riverhouses.org/books), and you can read more about it in the Mackenzie River entry in Wikipedia or perhaps on your next visit to your local library. Though no man may heed my frowns. ❡ Explore more: The Poetry Foundation’s website (poetryfoundation.org) includes biographies and examples of the work of many important poets (including William Barnes) that are suitable for high school students and homeschool teachers. 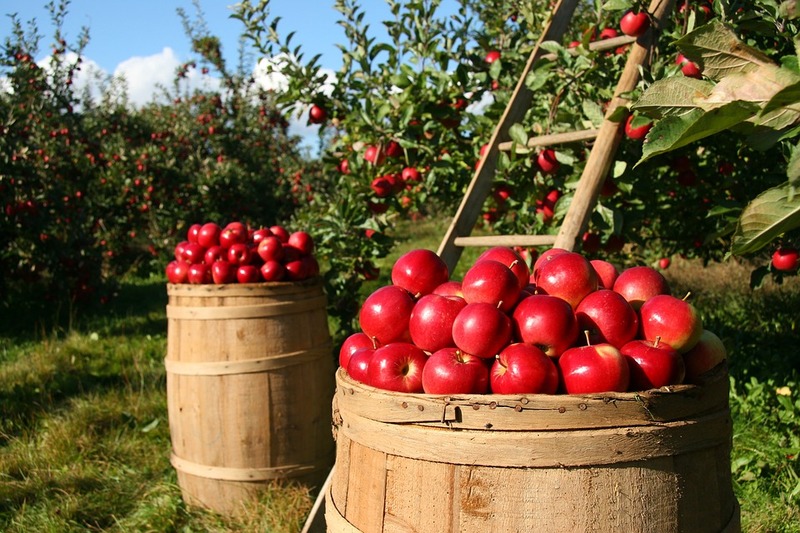 This poem is full of wonderful descriptive images — if you take your homescholars to a pick-your-own apple orchard this month they’ll understand them all. 🍎 And after an hour or two of farm labor, perhaps they’ll be ready for a nap — like, or not like, the woodchuck’s long winter nap. There isn’t as much formal structure in this poem as there is in many of Frost’s verses, but there is quite a bit of rhyme and it often follows regular patterns (ABBA in the first four lines). The poem has a dream-like quality perhaps, matching its theme. How often is our daytime work the subject of our dreams? Do we sometimes get so much of a desired thing that it wears us out? (“Be careful what you wish for.”) Do animals dream? Even in their months-long winter hibernation? Every open-ended question you ask will exercise and expand the young minds in your charge. ❡ Explore more: The website of the Poetry Foundation (poetryfoundation.org) includes biographies and examples of the work of many important poets (including Robert Frost) that are suitable for high school students and homeschool teachers.